Whether you’re heading to the U.S. to live, work, vacation or study, RBC Bank™ – a wholly owned subsidiary of Royal Bank of Canada – provides U.S. banking solutions to make your time in the U.S. easier and your banking more convenient. We provide you with convenient and secure ways to manage all of your banking needs. 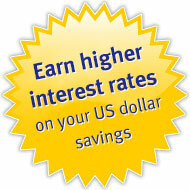 You’ll also enjoy great currency exchange rates with our Premium Checking account. Eliminate wires. 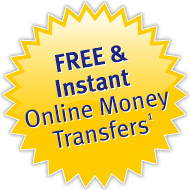 Use online banking to move money between your RBC Royal Bank® (Canadian) and RBC Bank U.S. based accounts - instantly and for free1. Plus the currency exchange is done automatically. Get cash anywhere, anytime in the U.S. at over 50,000 no-fee3 ATMs or get cash back at many retailers. Visit rbcbank.com/atms to locate a no-fee U.S. ATM. Protect yourself from fluctuating exchange rates. Transfer more money at one time to see you through your stay in the U.S. Convenient banking on both sides of the border. With a single sign-in to RBC® Online Banking you can access both your Canadian and U.S. based RBC accounts, make cross-border money transfers and much more. Pay your U.S. bills hassle free. Pay your U.S. issued credit cards and U.S. bills online through RBC Bank Online Banking. 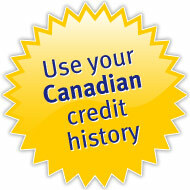 Making U.S. purchases using your Canadian credit card can be costly. Save more with an RBC Bank U.S. issued credit card. 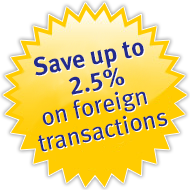 Save up to 2.5% on foreign transactions when you pay for U.S. purchases with an RBC Bank Visa Credit card. Unlike with most Canadian credit cards, we don’t charge you foreign transaction fees on top of the currency exchange rate. Earn RBC Rewards points for every dollar you spend4 when you use your RBC Bank Visa Signature Black credit card. Redeem for rewards faster when you combine your U.S. RBC Rewards points with your Canadian RBC Rewards points. Convert and transfer RBC Rewards points earned with your U.S. credit card to your Canadian RBC Rewards account6. Get cash anywhere, anytime in the U.S. at thousands of no-fee3 ATMs or get cash back at many retailers. Visit rbcbank.com/atms to locate a no-fee U.S. ATM. Earn RBC Rewards® points for every dollar you spend4, and double earn points for the first 90 days5 when you use your RBC Bank Visa Signature Black credit card. Whether you’re saving for a down payment on a U.S. home or setting aside U.S. dollars for an extended trip down south, an RBC Bank Preferred Money Market Savings account7, is a smart way to earn higher interest on your U.S. dollar savings. Minimize the impact of exchange rate fluctuations. A Preferred Money Market Savings account7 secures your U.S. dollars in a high interest savings account, reducing the impact of exchange rate fluctuations. Your money is FDIC insured8. Enjoy up to 6 free debit transactions per month9. Easily access your money via online banking. Earn 0.75% APY guaranteed till May 31, 2016 for deposits of 50,000 U.S. dollars or more10. Offer valid till April 14, 2016. Use promotional code MM27416. 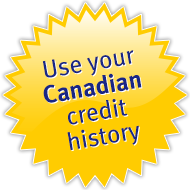 Use your Canadian credit history and your RBC Royal Bank relationship when evaluating your U.S. mortgage application10. Provide you with advice and guidance through every step of the process. Plus, RBC Bank doesn’t charge a foreign national premium, which can add up to 5% on top of your U.S. mortgage rate. You are in good hands with RBC Bank - the only mortgage provider dedicated to helping Canadians purchase property in all 50 U.S. states. Use your Canadian credit history and your RBC Royal Bank relationship when evaluating your U.S. mortgage application11. Open an RBC Bank U.S. based chequing account and a no-annual-fee2 Visa‡ Signature Black credit card today. RBC Bank is RBC Bank (Georgia), National Association (RBC Bank), a wholly-owned U.S. banking subsidiary of Royal Bank of Canada. U.S. banking products and services are offered and provided by RBC Bank. Canadian Banking products and services are offered and provided by Royal Bank of Canada. U.S. deposit accounts are insured by the U.S. Federal Deposit Insurance Corporation (FDIC) up to the maximum amount permissible by law. U.S. deposit accounts are not insured by the Canada Deposit Insurance Corporation (CDIC).